has been working as an executive director of Iris Group since 2016. Pursued her bachelor's degree at Tbilisi State University from the faculty of Social and Political Sciences with major in Journalism and studied at Radio Liberty / Radio Free Europe Media School practicing multimedia journalism for one year. For a short period, worked as a reporter in different media outlets in Tbilisi. In 2012 gained her working experience in non-governmental organization based in Gdynia, Poland. In 2014 started working at Iris Group as a program assistant. 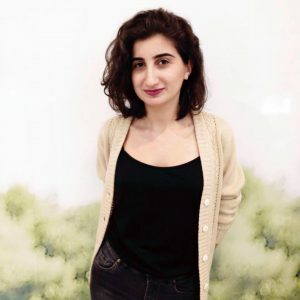 In 2015 she did an internship at European Center for Minority Issues based in Flensburg, Germany and carried out research about ethnic minority education in Georgia. Interests: civic education, intercultural relations, diversity management, media. Since October 2017 Tamta has been working in Iris Group. At first she was assistant coordinator. Now she holds a position of Program Manager and Coordinator. At this position her main responsibilities are implementing Diversity School and other international educational programs. In 2013-2017 years she studied at Tbilisi State University on the faculty of social and political sciences and got a bachelor's degree in Political sciences. Now she studies Gender Studies Master Program at the same university. In 2016 participated in Diversity School and carried out the project about Labor Rights. Next year she have became a mentor under the same program. Tamta is involved in various civil activities as well. Interests: Non-formal education, social activism, cinema, astronomy, traveling. 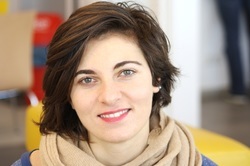 Ana has been working at Iris Group since June 2018. At first she was an intern and now she holds a position of a program manager. Her work is concentrated on Diversity School and international programs implemented by Iris Group. Apart from that, she fulfills the duties of the director while the director is pursuing her studies abroad. Ana has experience of working in several non-governmental and/or educational organizations. Currently she is an undergraduate student at International Black Sea University. She is majoring in international relations. Interests: non-formal education, behavioral science, music, innovative technologies, traveling, intercultural communications. 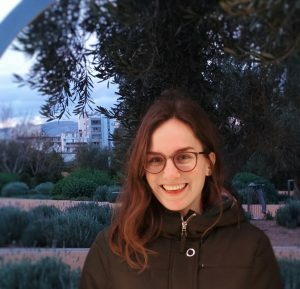 Annie has started working in Iris Group in October 2018 as an European Solidarity Corps volunteer. Was born and lived in Latvia. Has been participating and training in several Erasmus+ training courses and youth exchanges around the Europe as well as coordinating a large-scale project in Riga for Latvian Community of Blind People. For two years Annie worked in a nursing home as a music and basic knowledge teacher while combining it with an employment in the modern technologies exhibition as a Hospitality Manager. For a short period used to work as a Venue Coordinator in Riga Contemporary Art exhibition. Annie is closely connected to social work and has some voluntary background in the past as well. Her responsibilities in Iris are focused on assisting the program managers, evolving the social media as well as organizing additional projects connected to alumni community. Interest: music and history of art, pedagogic, budget travelling, international relations, hiking, sports, mindful lifestyle etc.